Drug and alcohol addiction rehab can be administered through a variety of program formats. Some patients need targeted, in-depth and distraction-free care in a residential setting; others may not be able to take the necessary time away from their lives and careers to enter an inpatient program and need the flexibility of outpatient care. IOP treatment offers a combination of deep, comprehensive care with the flexibility and independence of outpatient rehab. It is ideal for patients who need help beyond what regular outpatient treatment can offer but who still need to maintain their careers, families, and other obligations of their lives. What Happens in IOP Rehab? Patients in IOP rehab programs attend multiple weekly treatment sessions for an extended period of time. Programs usually consist of about five sessions per week for about six weeks, depending upon patients’ progress and ongoing care needs. Each facility will offer different supplemental modalities depending on their resources and what their patients respond to. 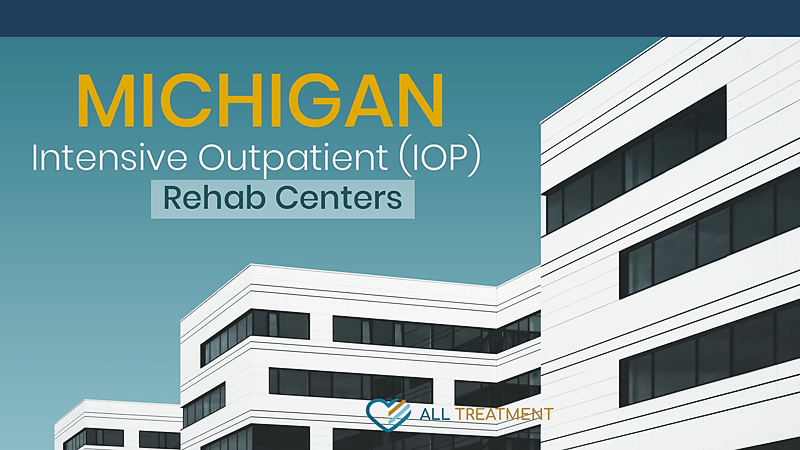 Once patients complete their IOP rehab program, they are often given aftercare plans for relapse prevention. What Is Aftercare in IOP? IOP treatment aftercare plans help patients build off the behavioral tools they cultivated in treatment and connect them with post-treatment resources in their area, such as addiction-trained therapists and support groups for continued success. IOP is among the most common types of rehab for patients struggling with drug and alcohol addiction. It may be covered by patients’ private healthcare insurance or their state’s Medicaid subsidies. If you or someone you care about is struggling with drug or alcohol addiction, IOP treatment may be the answer.